College Sports Journal announces their 2018 Fearless Prediction for the Order of finish of Conference USA, the third of our Group of Five Conference previews. C-USA had a landmark season by sending a league record nine teams to bowl games. Florida Atlantic won the league last year and also won the Boca Raton Bowl. Florida Atlantic looks to be the team to beat after its 2017 championship season and has won a FBS second best (UCF has 13) 10 wins in a row. In its East Division, only Marshall and Middle Tennessee State look like teams that could challenge for the crown. In the West Division, there really is not a clear-cut favorite but Louisiana Tech narrowly looks like the team to beat. North Texas and Southern Miss seem almost on par with La Tech so this division will be interesting to see how it unfolds. 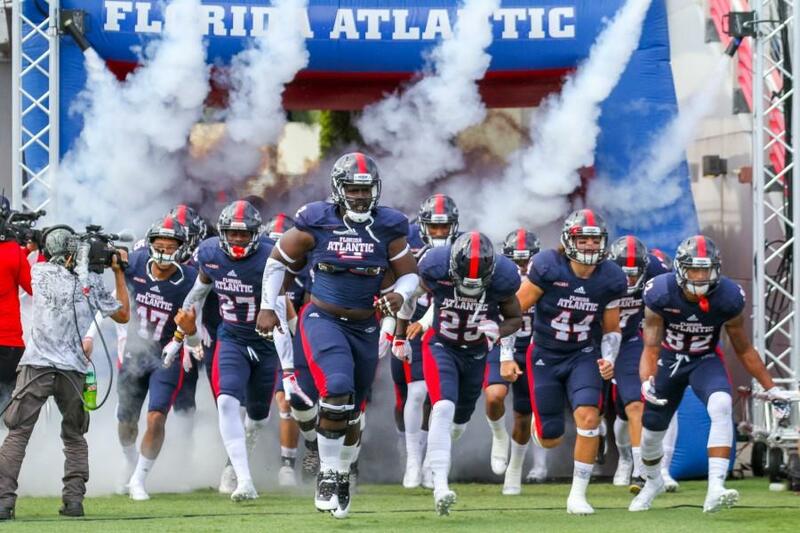 But with whichever team finds its way to the West Division, Florida Atlantic seems like the team that will come out in the C-USA title game with the championship.